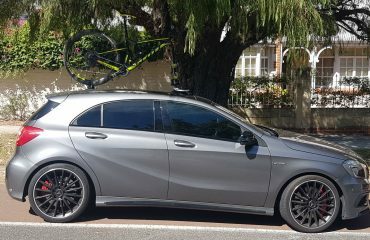 Darren is a keen cyclist who was in the market for a Ford Mustang GT Bike Rack. He came across the SeaSucker Talon 1-Bike Rack. Having experimented with various mounting locations Darren decided to mount his SeaSucker Talon on the tailgate of his Ford Mustang GT. 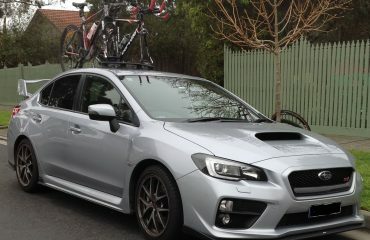 Darren sent us these photos via Facebook, thanks Darren for sharing your experience with us. 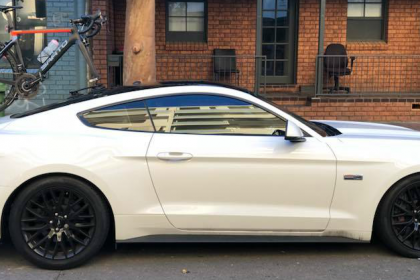 Looking for a bike rack for your Ford Mustang GT? Buy the SeaSucker Talon through our online store. Like our motto says! NO DRILLS, NO SCREWS, NO PROBLEMS!